Who are the other four mentioned in the prophesy? 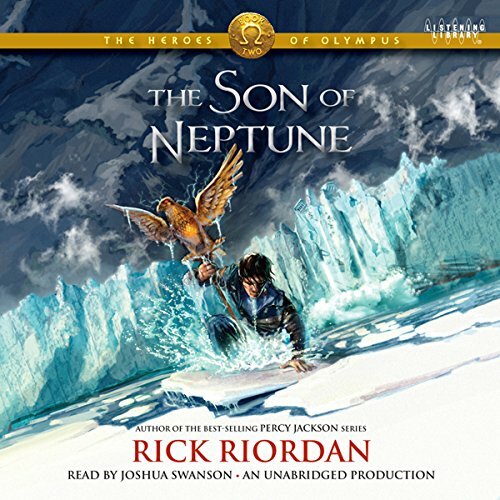 The answer may lie in another camp miles away, where a new camper has shown up and appears to be the son of Neptune, god of the sea. 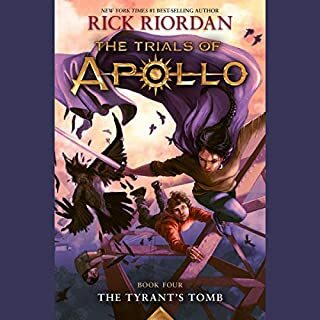 As usual Riordan writes a wonderful story and makes me long to be apart of his world. The Roman myths are a bit unexplained but it seems that the Romans dont want to talk about anything. everything seems forbidden to their culture. 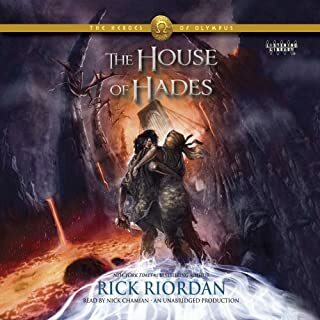 I did like the way the Romans looked down on all the Camp Half-Blood traditions. Now on to my Headline. Swanson makes most of the characters sound kinda lame. His accent for some of the characters slips and makes it harder to tell if his voice is just a little higher for the girls or slightlydeeper for the boys. All the gods sound like either old dusty cowboys or my old aunts. 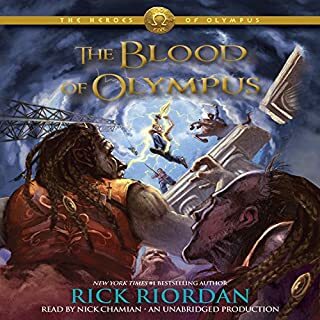 I cringed everytime Octavius had lines. He can definitely improve in his performance, but he should try it on books that aren't written by my favorite authors. 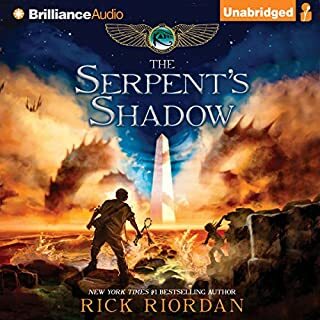 Another great adventure from Rick Riordan! 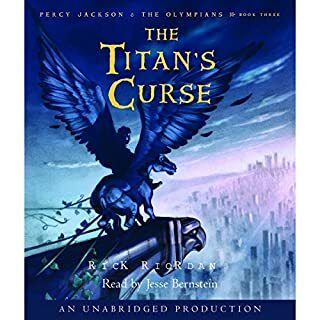 As a huge Percy Jackson fan's, my son and I found this to be another great addition to the series. 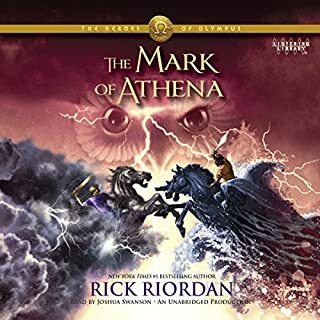 We love the way Mr. Riordan combines humor, action, and learning about Greek and Roman characters. 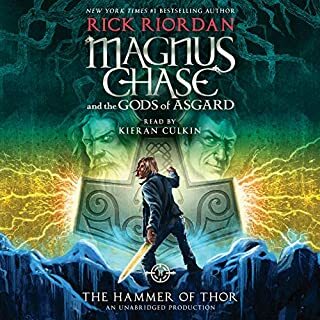 We can't wait for the next book in the series. 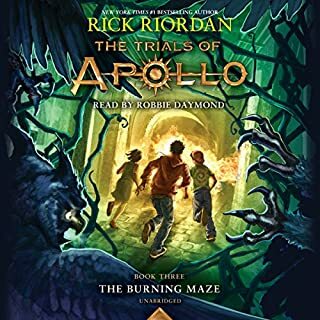 All we can say is "Write faster, Mr. Riordan, write faster". This works borders more on the incredulous than even the other books. Since it is fantasy, we can believe in fighting cyclops and centaurs -- but fighting blades of grass? The story is good enough to keep buying -- but please replace the reader with a computerized text reader -- at least then, we would not feel bad about saying things so negative about a fellow human. This reader apparently never practices before he records for production. His articulation is more like a digitized reader. I guess he thinks the next words after commas in English are to sound like the start of new sentences. 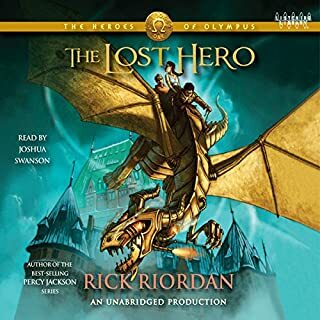 I have two hours of commutes every day and use it all for audio books. Of the dozens I've listened to, this is the worst reader -- period. 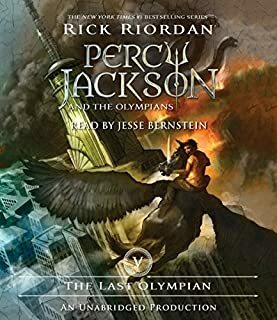 This was one of my favorite books in the whole Percy Jackson series. I didn't have a problem with the narrator. I'm just excited about the next book when everyone finally gets together. 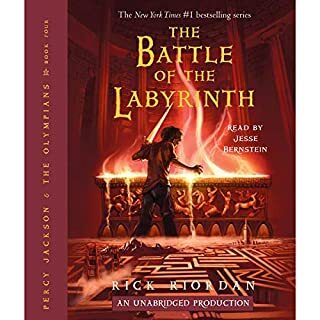 I wish Rick Riordan could write as fast as I can read! One heck of an addictive adventure! This series is so much better and has a older feeling to it comparing to the first series. 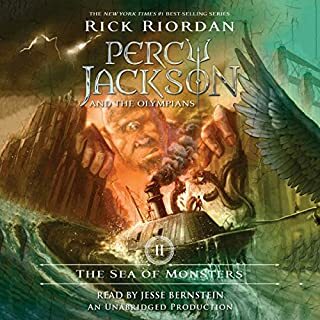 Between the writing and the improved reading you really get a feeling of the character differences between Percy's point of view and persona and that of Jason in The Lost Hero. 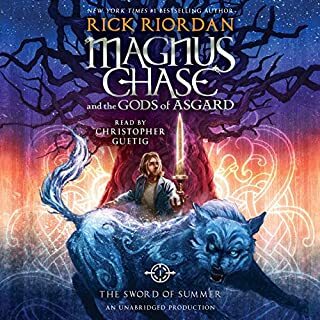 Can't wait for the next book! 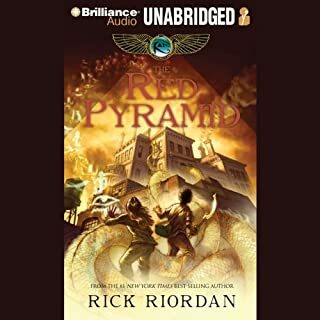 I am an educated adult and I love Riordan's books. I have read all of his so called children's books. He is a greta writer. I read a novel a week and his books are a fantastic break from my normal readings. I very my topics weekly but I always go back to a few authors. 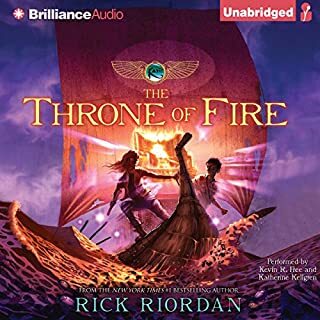 Riordan is on my top list. 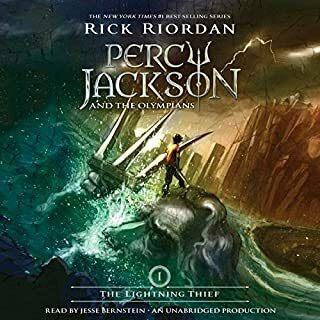 Somehow they got a completely different narrator and this book still came out sound exactly LIKE the Percy Jackson series. 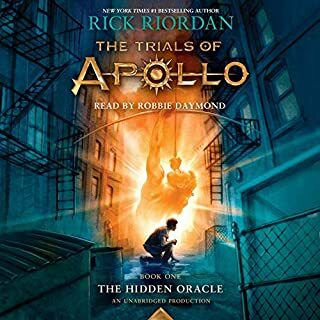 I am addicted to the work of Rick Riordan. Books are my drug. And he is one of my dealers. 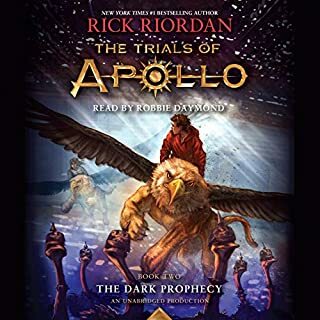 But Zeus almighty, WHO picked this narrator? Does this guy just guess how to pronounce stuff? Or does he do it on purpose, in some evil vendetta against book lovers? I wanted to become a narrator out of sheer love of reading aloud and bringing stories to life. Now I have a new motive. (Or rather, another one) To prevent further butchering of stories!